Continuing its nationwide ICS implementation, EMSI was recently called upon to deliver the first O-305 AHIMT course in Canada. Sponsored by the ICS Canada organization, this inaugural course was hosted in Calgary, Alberta, the week of March 4th. In coordination with ICS Canada, EMSI made slight modifications to the USFA O-305 curriculum to incorporate and align with ICS Canada doctrine. 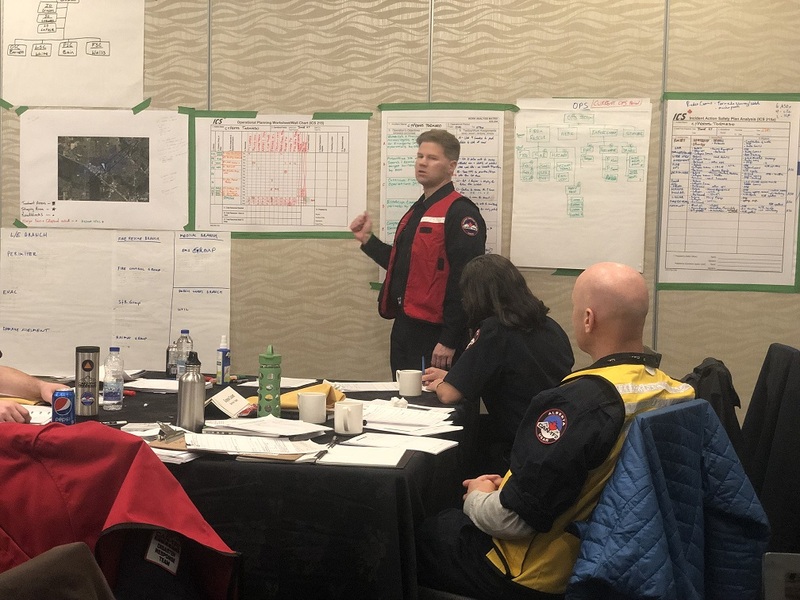 With this initial course offering, there was an incredibly high-level of interest to attend the course from Canadian incident management personnel from across the country. With EMSI providing five instructors for the class, the forty students were broken into five Command & General Staff teams that received direct coaching and feedback from the highly qualified and experienced EMSI instructors. Making it an even richer learning environment, ICS Canada additionally provided ten coach/evaluators from various Canadian agencies to support the class. 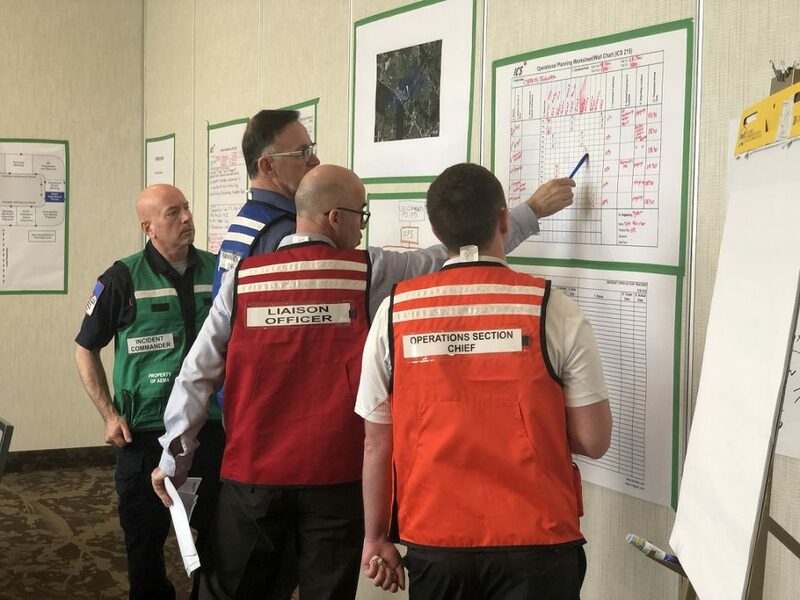 O-305 serves as a basic introduction to the activities and processes of a Type 3 All-Hazards Incident Management Team (AHIMT), enabling them to be better prepared to support large scale or complex operations in their communities. This program focuses on the importance of developing and operating as a functional Type 3 AHIMT and will assist individual responders to perform as viable team members. ICS was first implemented in Canada on a large scale by the Province of British Columbia in the mid-1990s. As part of its mandate to its provincial, territorial, and federal members, the Canadian Interagency Forest Fire Centre (CIFFC) introduced the CIFFC ICS Canadian Version doctrine and complete set of training materials to the wildland fire community across Canada (all provincial, territorial, and federal agencies responsible for wildland fire management) in 2002. A number of non-wildland fire organizations also soon adopted this model and, over the ensuing years, adoption of the system has increased significantly. In 2009, CIFFC was preparing to update the Canadian wildland fire ICS curriculum. 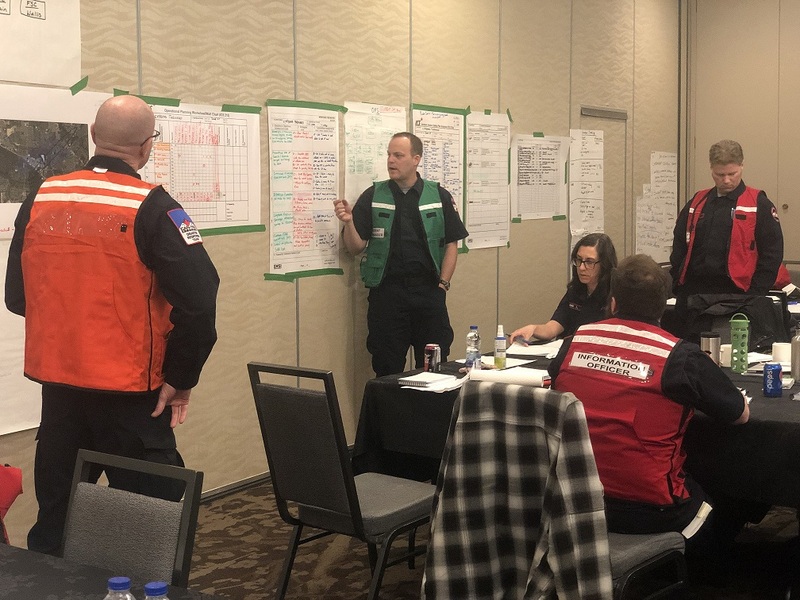 At that time, the Alberta Emergency Management Agency (AEMA) was also reviewing their need to provide a single all hazard command and control system that would meet their long-term provincial emergency management needs. Concurrently, CIFFC was sponsored through Parks Canada to apply for a New Initiatives Fund contribution agreement to provide for a revised ICS and a complete training regime for all Ground Search and Rescue within Canada. The collaboration of these initiatives into one effort formed the basis for ICS Canada. In conjunction with the aforementioned partners, ICS Canada member agencies also include: Manitoba Office of the Fire Commissioner, Nova Scotia Emergency Management Office, PEI Emergency Measures Organization, Search and Rescue Volunteers Association of Canada, and Ground Search and Rescue Council of Canada. There are several other interested jurisdictions and recruitment to the initiative is ongoing. EMSI conducted this training course through our Canadian subsidiary, EMSI Canada Ventures. In 2013, EMSI established EMSI Canada Ventures as a separate and distinct Canadian corporation. Registered as a business in Alberta, Canada, all EMSI services provided to our Canadian clients are delivered through EMSI Canada Ventures. A global leader in the training and application of ICS, EMSI has delivered ICS training in Canada to government and private sector entities through EMSI Canada Ventures. Our training courses include ICS “system” training (ICS 100 through 400), position-specific training for all positions in the ICS organization, and various level of IMT training. In addition, our ICS instructors are certified ICS Canada instructors. EMSI works with a wide range of government and private sector entities on an international basis. Our goal is to provide customized and tailored services and support that enhance the capabilities of our clients. We are proud of our relationships with our clients and the partnerships we build with them. EMSI is a service-disabled veteran owned minority business enterprise (MBE) that supports a broad range of clients. To learn more about EMSI and how we can help your organization’s response preparedness, please visit www.emsics.com.